I need soup today. NEED it. 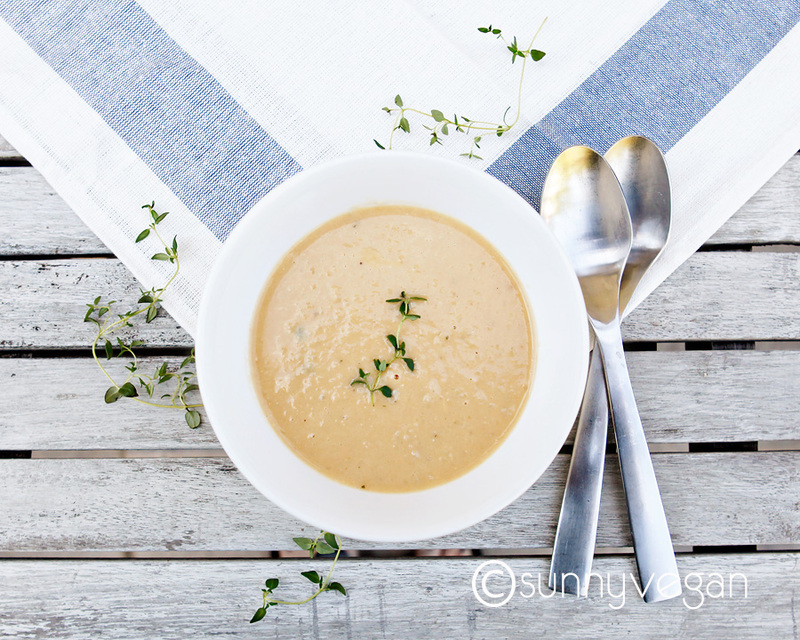 This white bean soup with thyme is healthy and so comforting on a chilly day like today. As you wrap your hands around a warm cup of soup, the relaxation and comfort instantly set in. Ahhhhh, soup. This recipe is for my friend Isabel who thinks she can’t make soup from scratch. Well, here you go! It’s quick, easy, kid friendly and healthy. heat olive oil in large pot. add onion and garlic, cook over medium heat until onions are tender and translucent, about 5 minutes. add remaining ingredients and simmer for 5 minutes. use an immersion blender or allow to cool and blend in food processor or blender until desired consistency. salt and pepper to taste. cherry chip ice cream~ and a Cuisinart giveaway! shallot and thyme mashed potatoes. 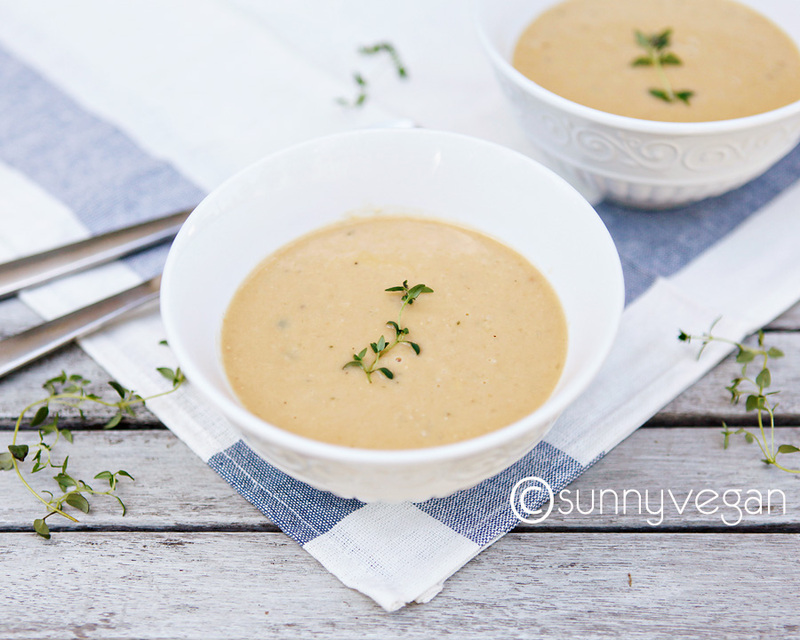 I made this soup over the weekend and was pleasantly surprised by how quick and easy it was. I didn’t have a food processor handy so I left the soup chunky and rustic, which worked as well, although I’d recommend making sure the garlic and onions are sliced finely.